The Castleberry Center is located in Houston, TX in the beautiful Vintage Park Shopping Village, conveniently located on 249 and Louetta near Champions, FM 1960, Champion Forest, Cypress, Jersey Village, Tomball, and Spring-Cypress, TX. 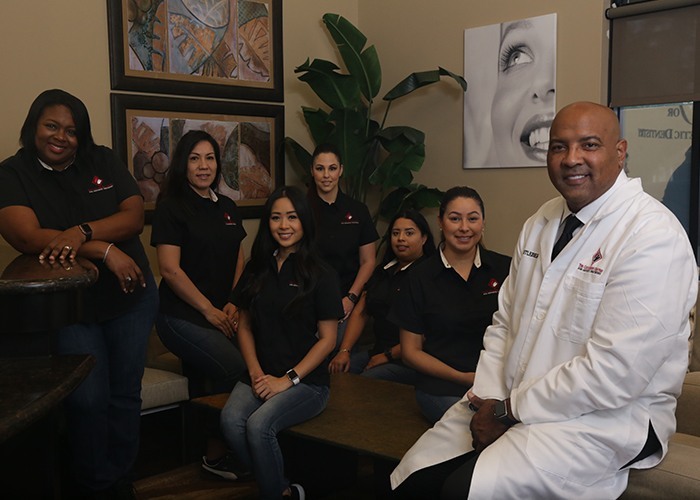 When you visit our Houston dentist at The Castleberry Center, you will notice right away that friendliness and courtesy is our standard. We are here to serve you! Our facility is designed to offer our patients an extraordinary experience. From the latest technology in cosmetic dentistry to the most opulent amenities in patient comfort, we have created an environment that will make your next dental visit a relaxing and pampering treat! Our dental team has been trained in delivering the highest quality of dental care in a clean, comfortable, and relaxing environment. Creating a soothing and peaceful atmosphere during your dental visit is our team's primary goal. Considering that dental appointments are often stressful at times, you will really enjoy feeling relaxed at The Castleberry Center. Dr. Darrick Castleberry and his well-trained team create elegant solutions in dentistry daily. Too many dental practices treat patients like a walking set of teeth while ignoring the person who comes with them. To us, our number one priority is our relationship with a patient. Before we do anything, Dr. Castleberry and our team will take the time to get to know you beyond your smile. What brings you to the dentist? What are your smile goals? Do you have any budget concerns? We’re here to tailor your dental experience so it’s perfect for you. From your very first appointment, you’ll know that you’re in good hands. At The Castleberry Center, everything we do is to serve our patients. We’ll make sure you understand every aspect of your dental care so you know your available options and have the information to make confident treatment decisions. 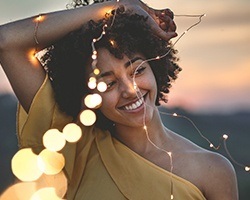 Our team will never push you to get expensive treatments you don’t need, and we’ll always work to use the most conservative solutions so we can achieve the best results in the most efficient manner. 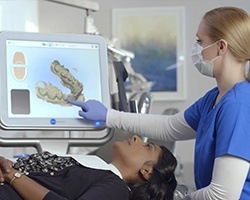 Modern dentistry is truly able to accomplish some amazing things, and a lot of that is due to the advancement of technology. Dr. Castleberry knows that having the right tools is essential to providing top-quality care, so he makes it a point to keep both himself and our facility up to date with the latest tools of the trade. Thanks to our commitment to technology, we’ll ensure that your appointments fly by and that your care is always world-class. Dr. Castleberry understands better than most how important comfort is when it comes to dental care. As a child, he underwent a treatment where his two front teeth were removed, and he was NOT numbed for it. He thinks about that pain every time he helps a patient now, because he believes that no one should ever have to experience it. While serving in the United States Navy, he actually gained the nickname “Painless” thanks to his gentle touch. Whenever you come to see us, you can trust that you’ll be comfortable from check-in to checkout.